Summer is officially in full swing and traveling season is upon us all! This weekend I'm headed to NYC for the Her Conference and I've never been so excited! It's my first sponsored trip, and I'm so honored to have the opportunity to work with Ulta while I'm there. What more could a girl ask for?! It also that means my skin must be on its best behavior. When I was going through my skincare products I use on a daily and weekly basis, I chose the best of the best for my skincare travel bag. Even though I'm prone to have combination skin (more oily in my t-zone), my under eye and eyelids can be extremely dry--even in the summertime. 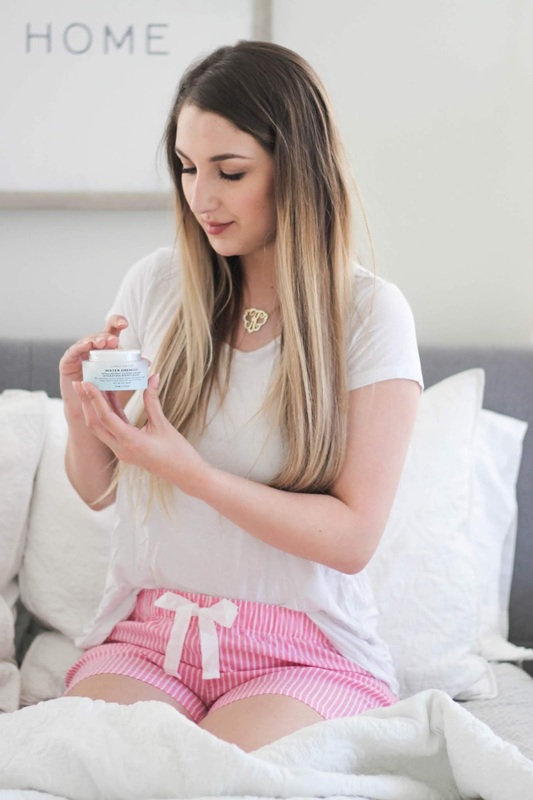 Eye cream is so, so important not only for keeping your under eye area hydrated, but to also help fight away the first visible signs of aging. 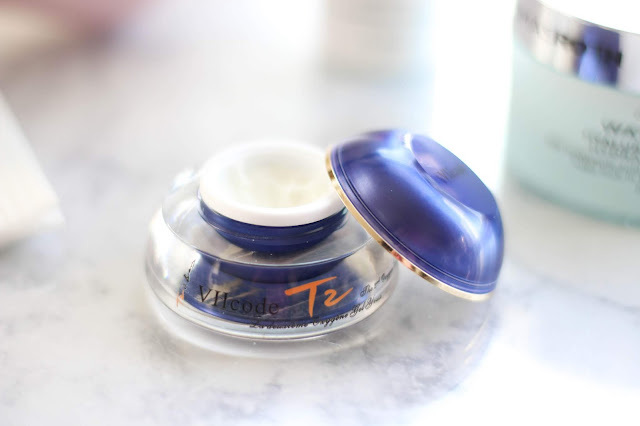 The VIICode T2 Oxygen Eye Cream facilitates the healing and regeneration of damaged skin cells near the eyes without leaving behind a residue. 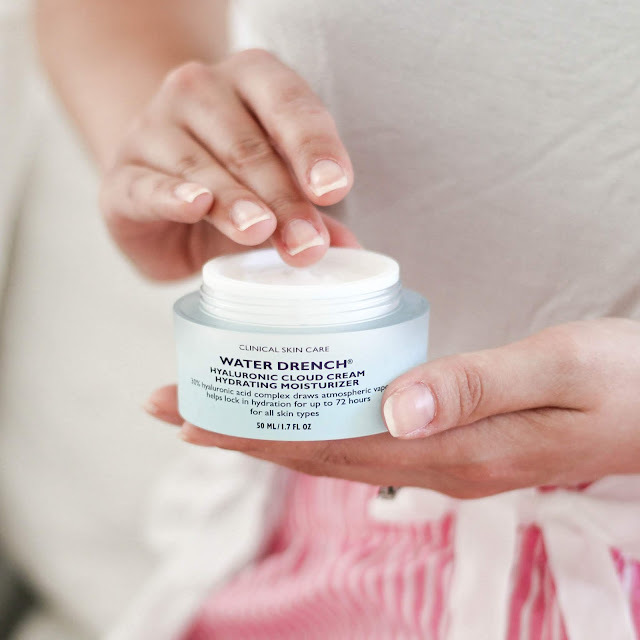 It absorbs right in, becoming one with your skin, leaving your skin feeling instantly hydrated! In the three weeks I've been using this eye cream, my under eyes have been much more hydrated and my concealer hasn't creased or cracked, because my skin is in the best condition it's ever been in! I've also noticed my smile lines around my eyes are less prominent. I know that smile lines are a sign of a happy life, but I'm far too young to have noticeable wrinkles. I'm a huge ingredient nerd and love knowing what's in my skincare products and what they do. The eye cream's three main ingredients are Elderberries, Jojoba Oil, and Evening Primrose. Elderberries are an antioxidant that help maintain your skin cells, leaving you with glowy, younger-looking skin. Jojoba Oil helps to firm and hydrate your skin, while also reducing the appearance of fine lines & wrinkles. Lastly, the Evening Primrose boosts blood circulation, which helps to treat tired skin & eyes as well as help diminish the appearance of fine lines & wrinkles. Use both morning & night after cleansing your face. 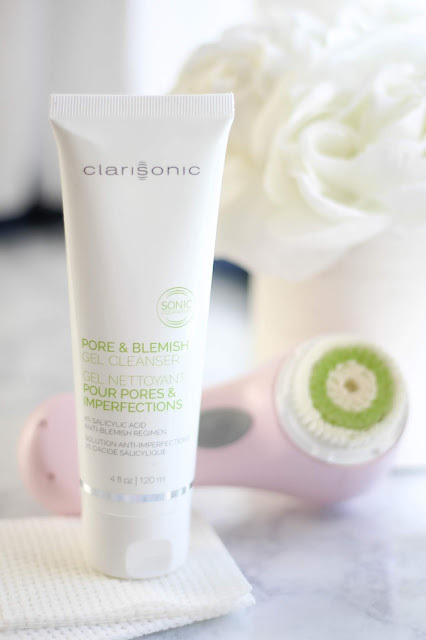 I've been loving my Clarisonic Mia and Pore & Blemish Gel Cleanser. 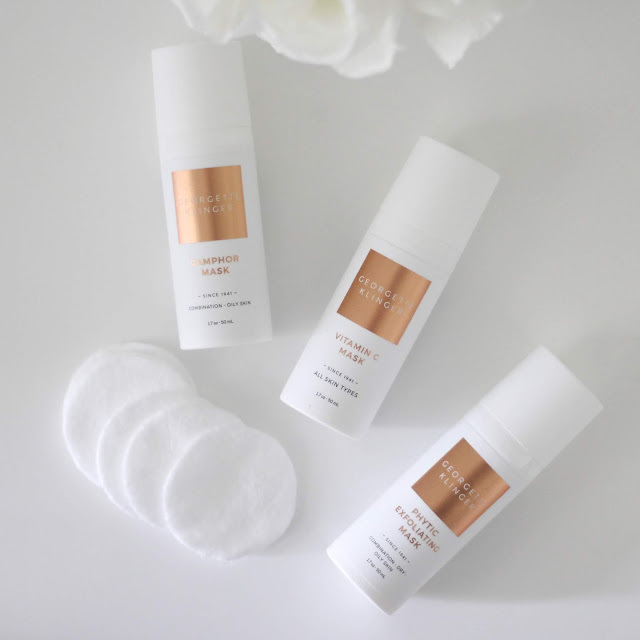 I first introduced this duo in my post: Summertime Skin-Clearing Skincare Routine for Sensitive Skin, and I'm truly obsessed. My skin feels so smooth and clean after using them. I've also noticed my skin is the clearest it's ever been. When you're traveling, you want skincare that you know and love. 10/10 recommend! I also love using my Olay Daily Facials. I use them before my Clarisonic. They remove every bit of makeup, cleanse, exfoliate, tone, and soften your skin. If you want to keep your skincare routine simple, just use Olay Daily Facials. Especially with traveling & flying, it might be the only realistic cleanser you can bring! I have never experienced such a light-weight, yet hydrating moisturizer. After you've cleansed your skin, you are ready to apply your eye cream and moisturizers. This hydrating moisturizer feels like a liquid cloud on your skin. It's concentrated with 30% Hyaluronic Acid to provide your skin with intense hydration that lasts up to 72 hours. The three molecular sizes of Hyaluronic Acid create a formula complex, which retains up to 1,000 times its weight in water from moisture in the atmosphere. It also helps to replenish your skin to make it appear more supple, full, and smooth. Ceramides help lock in moisture while ProHyal+® helps improve hydration for healthier, looking skin. It also has Elderberry just like the ViiCode eye cream, so it will continue to help defy the look of aging. Fine lines and wrinkles will be visibly reduced, leaving your skin feeling silky, hydrated, and younger-looking. 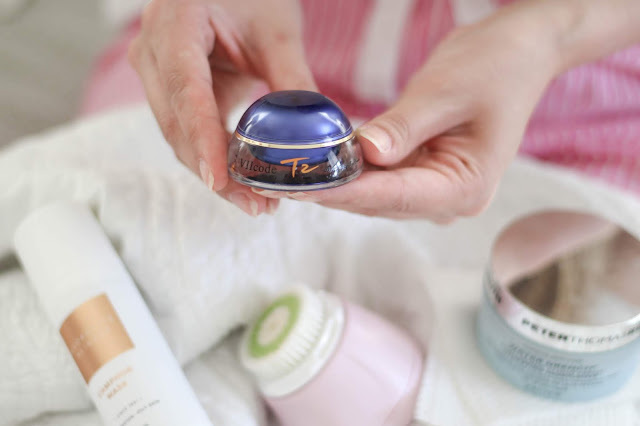 This moisturizer and the eye cream go hand-in-hand. They have similar ingredients to step up your skin's hydration and keep it looking younger, longer. The PTR Water Drench® Hyaluronic Cloud Cream Hydrating Moisturizer is oil-free, alcohol-free, and fragrance-free. Traveling can either leave your skin feeling amazing or extremely dehydrated and in need of some love. I love bringing a face mask with me on trips, because sometimes your skin just needs that extra deep clean & hydration. New environments, especially if you're traveling far, can bring unexpected damage to your skin. When I'm traveling to NYC this weekend, I'll be bringing my Georgette Klinger Vitamin C Mask, so that I can protect my skin against free radicals, while also nourishing and revitalizing my skin. Argan and Avocado Oils will both help with keeping my skin nourished, while Algae extract will keep it moisturized. Betaglucans will help prevent any damage from environmental stressors, and boost my skin's immunity, so it stays soft as ever. Your skin's health should be a top priority--especially while you are traveling. These are products that I have found work for me, and I hope you will love them, too! What skincare products are in your travel bag this summer?! A special thanks to VIICode and Peter Thomas Roth for sponsoring today's post.